As if you didn't think these two were already inspirational enough, Nikki Reed and Ian Somerhalder taught a business class at Emory University in Atlanta, Ga. on Wednesday. And no, this isn't an April Fools' joke. Yep, the allegedly engaged couple showed up to teach a marketing class, and who wouldn't be happy to have these talented individuals as substitute teachers? Um, where were they when I was in college and grad school? Reed and Somerhalder shared the news via social media, where they were just as thrilled as the students in the picture. Seriously, they look so happy that they had the chance to work with these young adults. If you don't believe me just read what they both shared on Instagram. Spent the morning sub-teaching at Emory University's business school talking about progressive marketing with an inspiring group of young individuals. Reminding all of you that were in the class that YOU are the future. YOU will change the world. Thank you for having us, and thank you for a great conversation. Thank you Emory University for giving us the opportunity to sub-teach your business/marketing class for an hour. Teaching is as much about listening as it is about talking. We learn from you guys, truly. Identifying your skills, your passions and then marrying the two is the key to success- to the future. So, why were Reed and Somerhalder teaching a college course? Well, it was all thanks to Credit Chevrolet and WhoSay for a supposed April Fools' joke using the hashtag #BestDayEver. Rather than being a true prank, Reed and Somerhalder's appearance was more a surprise for the business class who weren't expecting two famous celebrities to take over their class for 15 minutes (too bad it wasn't longer!). Like Somerhalder and Reed, Olivia Wilde and Norman Reedus took park in the campaign in New York City, while Alec Baldwin did the same in Los Angeles. Basically, it was a way for Chevrolet to inspire and promote meaningful surprises, rather than the typical jokes associated with April 1. 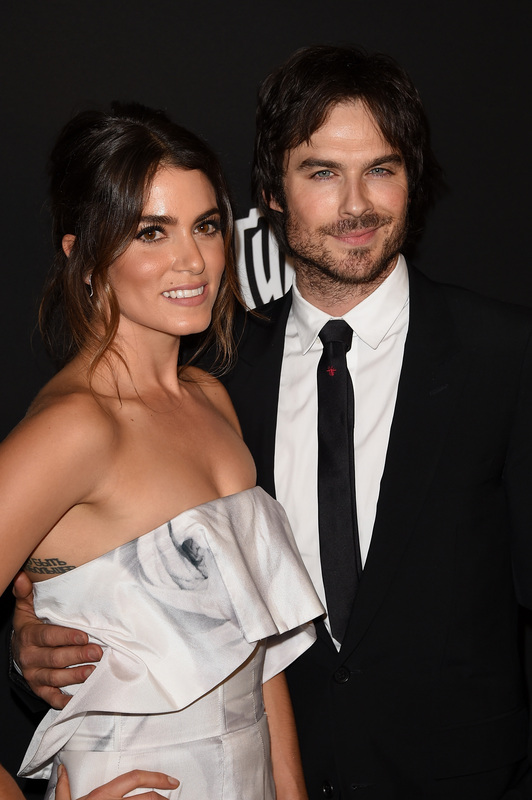 Just add sub-teachers to the long list of roles Reed and Somerhalder take on daily. Seriously, this is one power couple that is truly going to change the world.